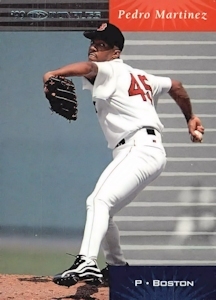 ON THIS DATE (October 16, 1999) ... Pedro Martinez burned as brightly as ever and Sox hitters remained as white-hot as they were last weekend against the Cleveland Indians, no one more so than Boston's new (first?) Mr. October, John Valentin. Just like that, any fears of a New York sweep in the American League Championship Series evaporated as the Red Sox inflicted a 13- 1 loss on the Yankees, the worst in the Bombers' long history of storied autumns. The shock value of the defeat, in which Clemens gave up five runs and was pulled two batters into the third inning, elicited a warning from Yankees owner George Steinbrenner to his team in the clubhouse. The win sliced New York's lead to 2-1 in the best-of-seven series. With 12 whiffs in seven innings, Martinez, even without his best fastball, set a record for most strikeouts by a Sox pitcher in the postseason. Tack on the 17 whiffs Martinez had in New York Sept. 10, and he has 29 strikeouts in his last 16 innings against the Yankees, who can only dread a Game 7 reprise against the Sox ace. Valentin, meanwhile, drove in five runs with a first-inning, two- run home run off Clemens, an infield out, and two singles, giving him 17 RBIs in eight postseason games. The Sox rolled up 21 hits, 10 for extra bases, in a stunning encore to their record 23-run, 24-hit outburst against the Indians last Sunday night, the last time they were on Yawkey Way. The 21 hits set an ALCS record, and the Sox have now scored 45 runs in their last 20 innings they've batted at home. "Just like Cleveland," chanted a sellout crowd of 33,190, which brought its "A" game every bit as much as the Sox, who also benefited from a home run and three singles by Nomar Garciaparra, two doubles and a single by Trot Nixon, and a home run and double by the Belleville Basher, Brian Daubach. The Yankees, meanwhile, saw their record-tying 12-game postseason winning streak come to a crashing end in a loss that eclipsed their previous worst beating, a 12-1 thrashing by Atlanta in Game 1 of the 1996 World Series. The Sox had lost 10 in a row in the ALCS since Game 7 of the '86 ALCS against Anaheim, in which Clemens was the winning pitcher. Clemens, whose value to the Yankees was supposed to be measured by his capacity to deliver in October, was driven from the premises as the Red Sox routed the Rocket and successor Hideki Irabu in an unprecedented display of Bomber-bashing. Clemens was long gone by the seventh inning, when the crowd chanted "Where is Roger?" and answered with, "In the shower." While Martinez held up his end of the most anticipated pitching matchup ever on Yawkey Way, striking out at least one Yankee in each of his seven innings and allowing just two hits, Clemens had no answer for the sarcastic singsong "Ro-ger, Ro-ger" that swept the greensward under cloudless blue skies and summer-like temperatures (73 degrees at game time). Two pitches into the Sox first, Jose Offerman was aboard third on a triple lashed off the 3-foot retaining wall in the right-field corner. Five pitches later, the Sox led, 2-0, as Valentin launched a 2-and-2 pitch from Clemens into the left-field net. Doubles by Nixon and Garciaparra, sandwiched around a single by Offerman, made it 4-0 in the second, and Torre lifted Clemens for Irabu after a single by Stanley and a first-pitch strike to Daubach, whose home run off Irabu made it 6-0. The six runs eclipsed the number of runs allowed by the Yankees in their five previous games combined.